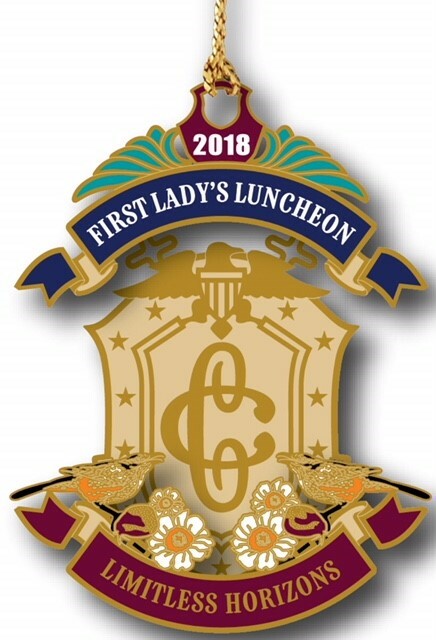 The Congressional Club has unveiled the first annual First Lady’s Luncheon collectible ornament! 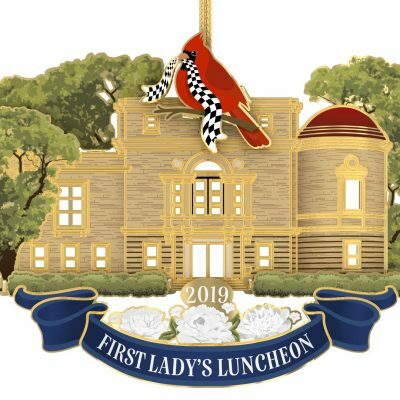 The ornament for this inaugural year reflects our theme, Limitless Horizons, and features the state bird and flower from Arizona, home of the 2018 Luncheon Chair, Mrs. Pat O’Halleran. The 2018 collectible is made in American from solid brass, finished in 24-karat gold, which protects the piece from tarnishing over time. A beautiful enamel ink adds luster and beauty to each piece.